Who you are as a staffing firm is directly related to who makes up your team. In order to put your best foot forward, training must take place during both the orientation stages and as part of an ongoing in-service program. Obviously, new recruiters and sales professionals need to be brought up to speed with what you expect of your team and how you envision your staffing services being delivered; however, there is also a need for regular meetings and chances to catch up on any changes in your staffing firm or in the industry as a whole. Review the following suggestions and take some time to evaluate your approach to training your staffing firm team. Believe it or not, expectations are already being communicated to potential recruiters and sales managers during the interview process. Your staffing firm’s culture and the way your hiring manager interacts with candidates sets the tone for how your team interacts with each other and the image that you portray to clients and candidates. Start off on the right foot by making sure that your interviewers are strong brand ambassadors who are able to confidently communicate your staffing firm’s branding message. Show potential team members that you are all working together toward one common goal, the success of your staffing firm. Superior customer service depends on hiring the right people and setting them up to succeed by providing them with a comprehensive training program. Be sure that your orientation program is individualized for your staffing firm and addresses those areas that are going to guarantee a return on your investment. What do you expect of your team and what goals do they need to keep on their radar? How is your brand perceived in the industry and how does your team communicate that to potential clients and candidates? Stress the importance of setting up daily routines and ensuring that both company-wide and individual goals are achieved. In addition to the basics of day-to-day service delivery, your staffing firm’s orientation program must cover relevant regulations and highlight your particular niche of the staffing industry. Periodic training sessions are needed to ensure that everyone is on the same page and working toward the success of your staffing firm. Ongoing in-service training meetings provide an opportunity for management to unveil new marketing campaigns, talk about the latest industry trends, or train team members on a new application or social media platform. If you are considering expanding into different target markets or offering new services, in-service training is required so that your team members are able to confidently share this information with their networks. When training your staffing firm team, always make sure that everyone has an opportunity to contribute to the discussion and feels comfortable enough to offer their insights. If your goal is training your staffing firm team, then you need to start by selecting focused topics for each session. Nobody enjoys sitting down at a table and getting bombarded with 20 different ideas in an hour, so the best way to ensure that your sales managers and recruiters actually retain the information is to focus in on one specific area. 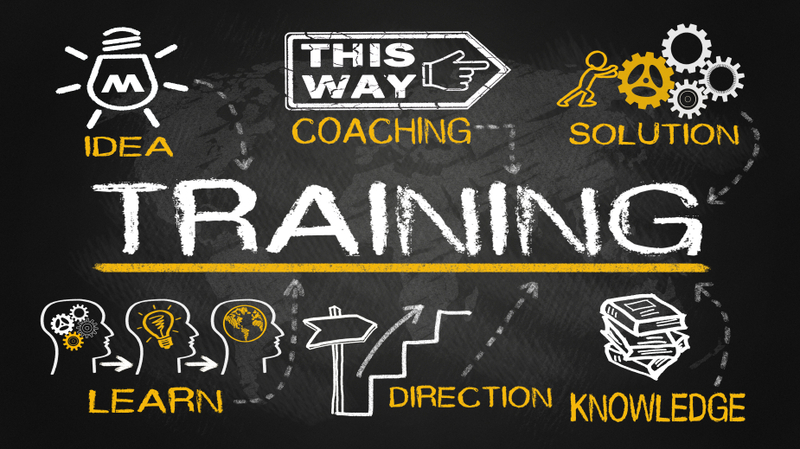 Technology updates, industry trends, selling strategies, networking tips, time management skills and negotiation techniques are all examples of possible topics to focus in on for your next training session. Encourage team bonding and allow them to buy into the training by passing out a survey and asking for their input. What topics are important to your sales team? What areas are of interest to your recruiters? Don’t forget to set targeted goals related to each training session and to keep track of your team’s progress by measuring and tracking analytical data. You know what they say about people who assume too much, right? In the workplace, assuming that everyone is on the same page is a dangerous proposition. When management thinks that a project is proceeding as planned and the recruiting and sales teams think that the campaign has switched gears, deadlines are sure to be missed and goals not to be met. Never overlook the obvious; instead, be sure to hold regular team meetings and encourage open communication within your staffing firm. Let your team know that your door is always open and that you are more than willing to engage in conversation.